— Customers are demanding discounts. — Customers expect value-added services. — Difficulty in the recruitment of talented salespeople. — Lower closing ratios and low achievement of sales quotas. — Turnover in sales staff. The key to winning is forward-thinking sales performance. That means effective management of relationships, the sales team, the marketplace, and benchmarking. Winning sales organizations are outstanding performers. They are resilient in withstanding pressures from customers, and they see poor economic conditions as marvelous sales opportunities. This means their revenue is growing from their customer base as they add new business. 1. Winning sales organizations understand the big picture. They create a macro view of their competitive landscape. They regularly conduct SWOT analyses to identify strengths, weaknesses, opportunities and threats. They keep an open mind, and consistently challenge assumptions and conventional wisdom. They develop effective, strategic action plans. In this way, they stay ahead of the curve. 2. Top sellers create opportunities with competitive intelligence.Such businesses are proactive – they understand when, where and why to focus their sales efforts. As a result, they have higher closing-sales ratios, and enjoy shorter selling cycles, and experience less discounting. If you want an explanation, read the insights of a competitive intelligence author. 3. 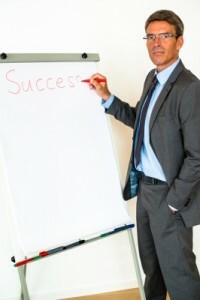 Great sales managers are successful in selling inside the company to senior executives. They empathize with senior managements’ concerns, and adapt to different management styles and are thus able to persuade senior decision-makers. In other words, sales managers know how to manage – not manipulate – their bosses. 4. Sales executives and salespeople manage their other internal relationships. Certainly, they focus on the short-term and the need for higher current revenue, but they grow relationships across the company for the long-term potential — departments from accounting to marketing. They know how and why to align sales with marketing. They maximize company resources in order to accelerate their sales opportunities. In turn, they’re able to deliver measurable value to their customers. 5. Eminent sales managers manage talent more effectively than non-winning sales organizations. They have the right people in the right positions. They’re adept at coaching employees to optimize their internal operations. They consistently train their employees. They power their brand with employee empowerment. By expertly managing their employees and making top hiring decisions, they don’t suffer from turnover and poor customer relationships. 6. Top selling organizations are tops in management controls. They don’t allow violations of sales policies. They effectively market, develop new strategic products and services, and they save on sales opportunity costs. They’re the best in sales processes – in understanding their optimal niches, identifying the best customers, developing cohesive strategies, and solving problems before they become emergencies. From the Coach’s Corner, develop customer loyalty by remembering first impressions are lasting impressions. Even longtime customers will go elsewhere 70 percent of the time because they feel taken for granted. Strategies for Maximum Customer Loyalty, Profits — Customer retention is important for profits in good times and bad. 7 Tips for Strong Results in Setting B2B Appointments with CEOs setting process is, of course, is key to being successful. The ideal situation is to get sales leads via networking and referrals. Convert More Prospects with 10 Best Marketing Tips (Even on a Tight Budget) — So you’ve got a pile of business cards from prospects, but you haven’t converted them? Great sales stem from great marketing. You can’t grow crops until you plant the right seeds. That’s the purpose of marketing. Like many businesses small or large in this soft economy, you’re probably looking for a competitive edge.